In the Hamilton or East Kilbride areas and put wrong fuel in your car? 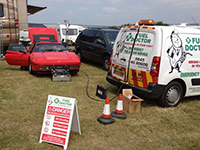 Call our mobile fuel drain experts who will get to you in no time - we take cards by the roadside! Putting the wrong fuel in your car can be a very stressful experience and that is why we are here should you put petrol in your diesel car or diesel in your petrol car. 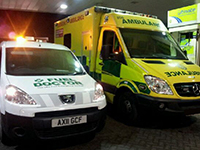 Our fuel doctors are trained to respond to meet you by the roadside or at the forecourt in Hamilton or East Kilbride. 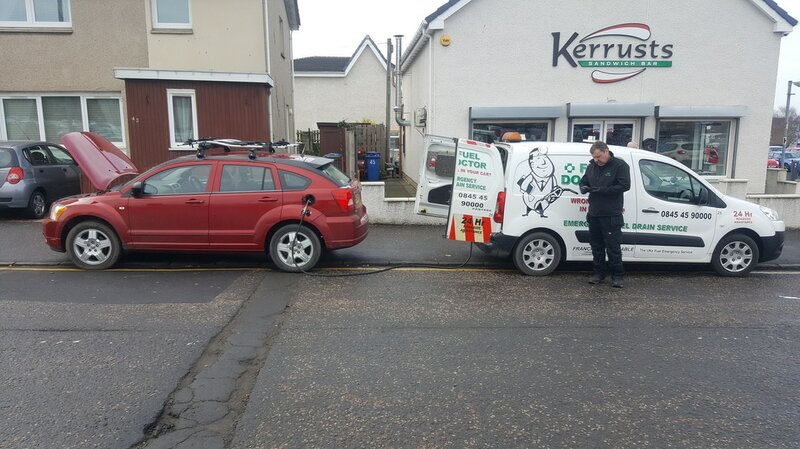 We are Scotland's premier mobile fuel drain provider and the cheapest independent throughout the UK, so you get the best reliable service that is local to Hamilton and East Kilbride. No matter where you are in the Hamilton or East Kilbride if you have put the wrong fuel in your car you need to get in touch with us. We will be out within an hour and will drain your vehicle and put the right fuel back in your car. Being mobile enables us to get to you quicker and our mobile fuel drain service has been adapted to respond to incidents quicker. This was a Dodge Caliber that had been run for a few hundred yards before coming to a standstill. Fortunately I was only 20 minutes away from Hamilton when the job was sent to me and the customer had managed to get his vehicle in a safe place on the side of the road. All drained and a happy customer back on his way after 20 minutes of me arriving on site. "So glad Gerry was around to save me! Never thought I would put the wrong fuel in my car, but if I can do it, then anyone can!"